Many of the founders, administrators and alumni involved in the first 25 years of the USC Ross Minority Program in Real Estate gathered at City Club L.A. in downtown Los Angeles on Jan. 15 to commemorate a quarter century of diversifying the real estate industry and fostering responsible development in underserved communities. Created in 1993 as a response to the civil unrest commonly referred to as the L.A. Riots a year earlier, Ross is run by the USC Lusk Center for Real Estate, a joint center with the USC Price School of Public Policy and USC Marshall School of Business. Speakers pledged to carry forward the legacy of namesake Stan Ross, who passed away in June at the age of 82. Ross, the longtime chairman of the Lusk Center, and his wife, Marilyn, made a gift to endow the program in 2003. Stuart Gabriel, a former director of the Lusk Center who now leads a similar center at UCLA, recalled his involvement with another former USC faculty member, David Dale-Johnson, in creating the Minority Program in Real Estate, then abbreviated as MPIRE. Following the 1992 civil unrest, USC and administrators of the former Community Redevelopment Agency of Los Angeles saw a need for a specialized program to help local residents participate in rebuilding the inner city. Gabriel was also part of obtaining the naming gift from Ross a decade later. He noted that Ross not only supported the program monetarily, he participated in every session of the program, mentoring students and forming deep relationships with alumni. “Stan would be extremely proud to look out where I’m looking right now and see all of you and this legacy that their funding has created,” Gabriel said. Michael Banner, part of the first graduating class of the program in 1993, was influenced to make a change in careers from banking to real estate following the civil unrest. A lot of the people who attend Ross were already working in the real estate industry, often as agents or brokers. They want to make an impact in their communities, but they need the training available from Ross on the finance side to make the transition into development. Denise Kees, vice president of sales and marketing of Kees’ Realty, Inc., a full service real estate brokerage in the greater San Francisco Bay Area, attended Ross in 2016 because she wanted to help the longtime residents in her hometown of Oakland benefit from the resurgence the downtown area of the city was experiencing. Offered twice a year in January and June, the Ross Program is expected to go over the 1,000 alumni mark this year. The program generally is conducted over 12 long days spread over four weeks. However, the session this June will be conducted over two weeks with no days off, to accommodate working professionals from out of state. 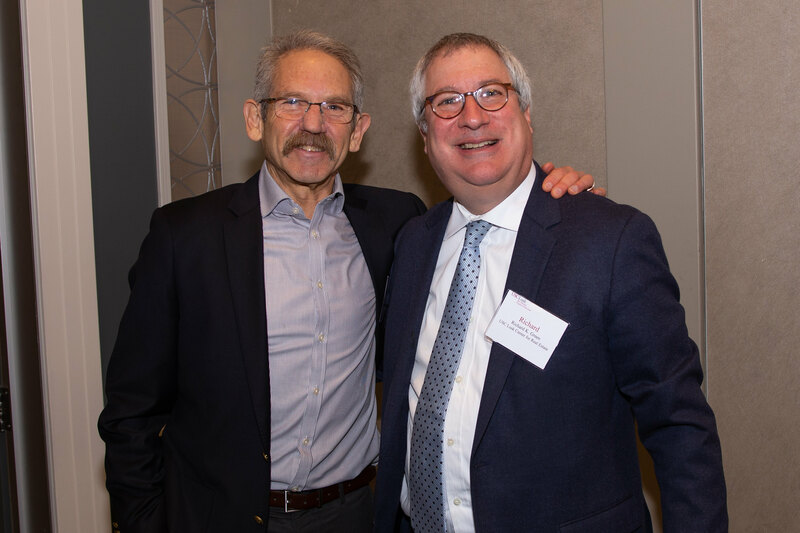 Emile Haddad, the current chairman of the Lusk Center, confirmed the Center’s commitment to Ross as a way to help the country get to a better place than where it is today. Green added that he hoped the Ross program would continue doing its important work.